Adding sustainable office furniture to your workspace in the Tampa, Florida, area is a wise move if you want to join the growing group of business owners who are going green. By choosing to furnish your office with pieces made from recycled or sustainable materials, you are helping minimize the amount of waste that ends up in landfills as well as limit the demand for trees to be unsustainably harvested. This means that you can have beautiful and functional furniture without worrying about negatively impacting the environment. Business owners in the Tampa, FL, area can turn to Reusable Office Interiors for all of their sustainable office furniture needs. We offer a wide selection of top-of-the-line furniture, including desk sets, cubicles/workstations, conference tables, office chairs and other seating, and so much more. Additionally, we can provide you with excellent services so that you don’t have to worry about all of the logistics. Our skilled technicians can deliver and install all of your furniture in a timely manner so that you can get back to work in no time. We also can liquidate existing unwanted furniture for you. And, if you have any furnishings that are too far gone and no longer in usable condition, we can recycle the items for you, which can result in your company receiving a tax credit. 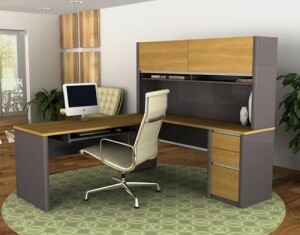 To learn more about the sustainable office furniture selection we offer, contact Reusable Office Interiors today. One of our knowledgeable associates is available to answer any questions you have and can tell you more about the outstanding products and services we offer to business owners in the Tampa, FL, area.